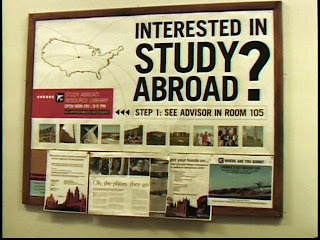 Well, might as well be useful and tell you what you need to study in Portugal, in case you decide to move here from abroad. Of course the information I'm going to give applies to people moving from Canada before the Bologna reforms, since that is the only experience I have on the matter (and I moved here as a Portuguese national, so I didn’t have to face all the bureaucratic hassles). Of course, before moving here you'd better think long and hard on what you objectives are, what you'd have to gain, and what you have to lose. If you're planning on using the Portuguese experience as a stepping stone to the rest of Europe, or if you want to help take Portugal out from the economic crapper, and enjoy great food and weather while you’re at it, then go for it! Official transcripts from your university or college. And remember folks, in Portugal, the more official looking the document the better!